Last week you could read about our daytrip to London and how we walked through beautiful Bloomsbury in the morning. 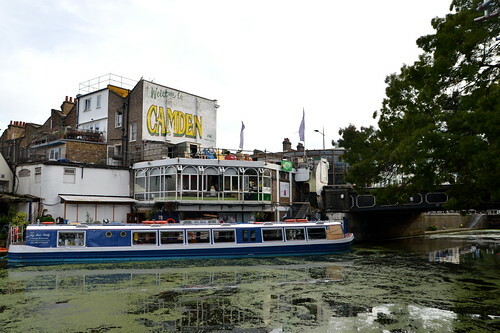 In the afternoon we took the tube to end up in an entirely different neighbourhood: Camden Town! 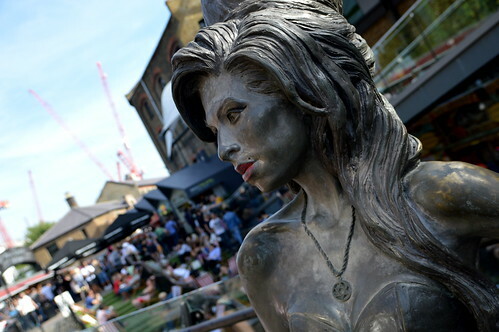 Camden Town is a very lively neighbourhood. 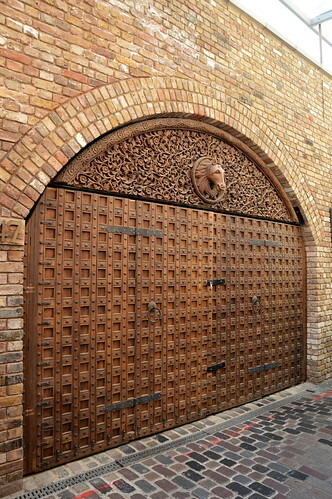 The place buzzes and it is well known for its markets which are a major tourist attraction. 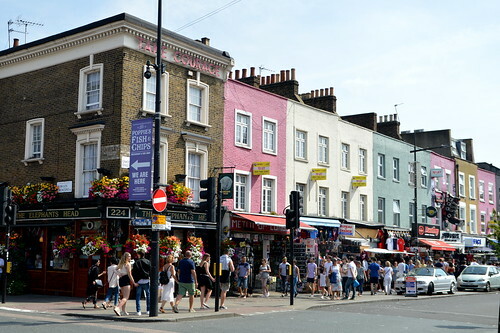 The area is especially popular with young, alternative people, but no matter how old or young you are, you will certainly enjoy a couple of hours in this district in the north of London! 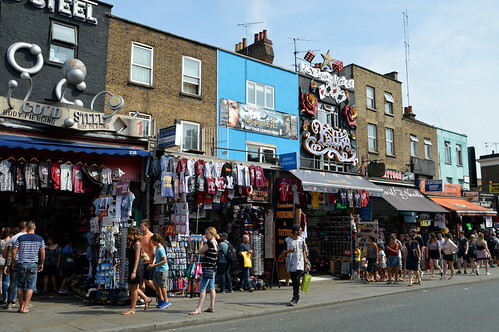 In Camden High Street you find one shop next to another and nearly each and every of them has a special house front: it is painted in a fab colour or it has all these arty farty objects stuck on them. You just don’t know where to look first. 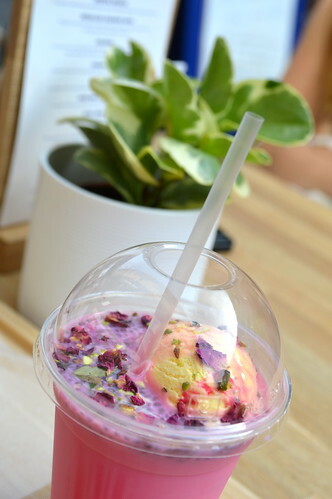 After our walk in pretty Bloomsbury, this was something different!! 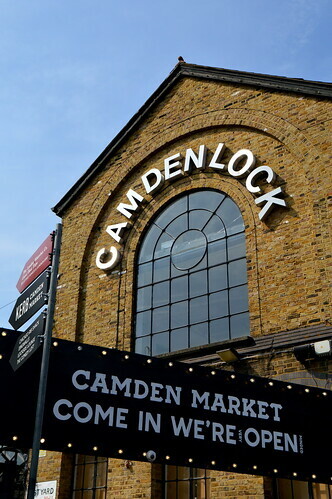 Camden Market actually consists of 6 street markets which are partially covered (perfect for a rainy day! 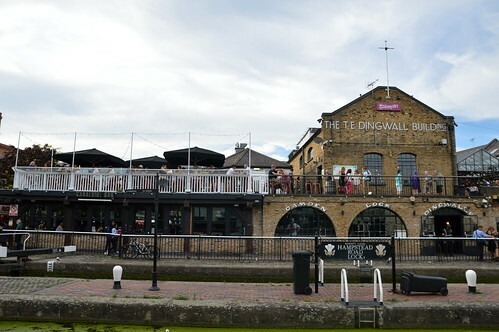 ): Camden Lock Market (which can be found in a former timber yard), Stables Market (in former horse stables), Buck Street Market, Camden Canal Market, Electric Ballroom Market and Inverness Street Market. 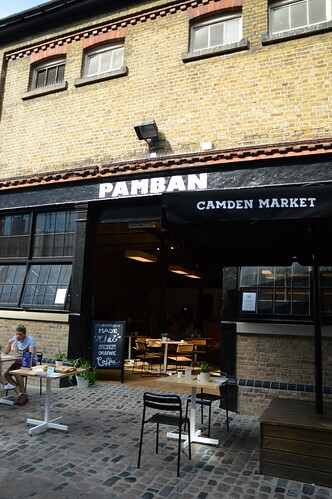 As we only had about 4 hours time to spend in Camden, we just wondered around from stall to stall, trying on stuff, buying some clothes and tea, having a drink and enjoying a pasta from one of the many food stalls. Pamban, the Southeast Asian coffee house where we sat down for a minute or two. 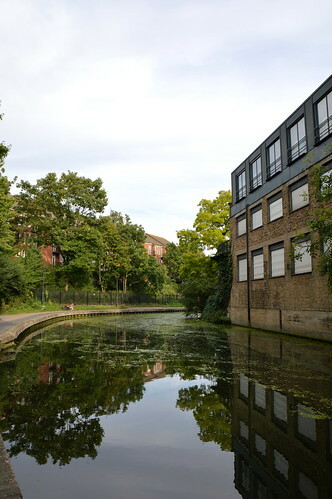 This canal runs through the heart of Camden Town. 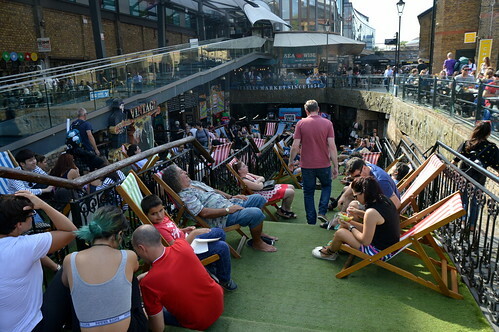 When the weather’s fine, people are sitting on the edge of the canal soaking up the sun. 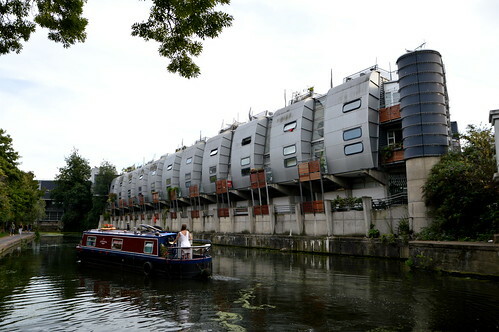 You can also take a boattrip on the canal, crossing The Regent’s Park towards Little Venice, which is a tranquil canal area in the west of London. When it was time to head back to St Pancras Station to catch our train, we decided to walk instead of taking the tube. 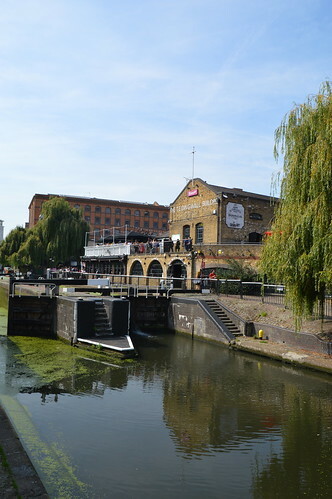 We walked all the way from Camden Town towards St Pancras which is quite doable. 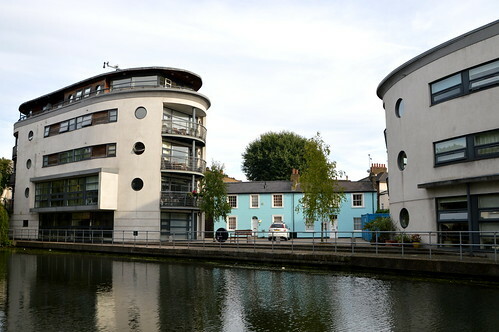 You can’t go wrong as you just have to stay beside the Regent’s Canal! 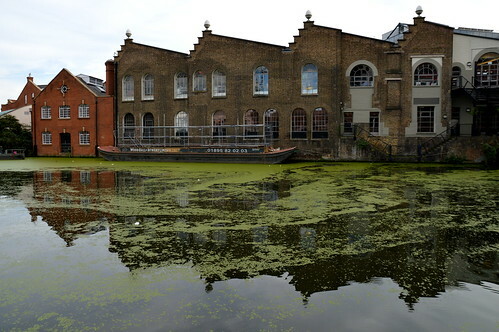 This part of London might not be the prettiest part and it is in full development. I bet in 10 years time it will look so different from today! 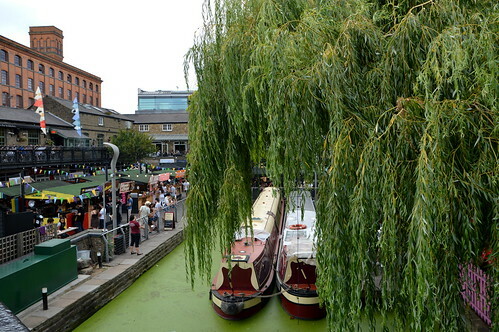 We enjoyed our walk as it was quite peaceful after the hustle and bustle from Camden Town. 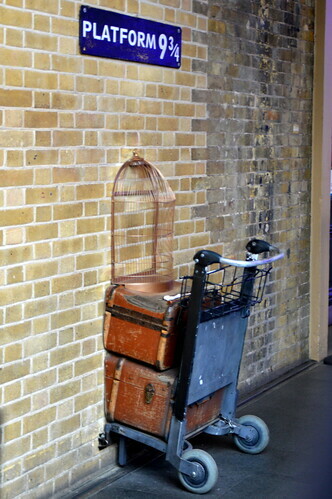 … but first a stop in King’s Cross Station! 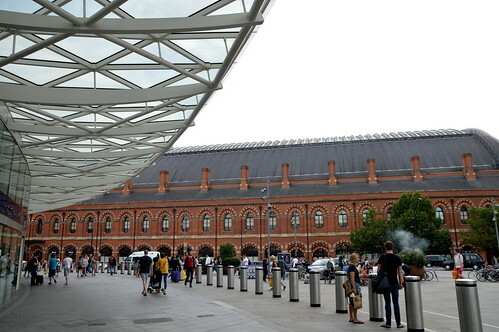 King’s Cross Station on the left and across the road the red bricks from St Pancras Station. Before entering St Pancras Station, we went inside King’s Cross Station on the other side of the road. As both my girls are Harry Potter fans, we wanted to see THE cart from platform 9 3/4. 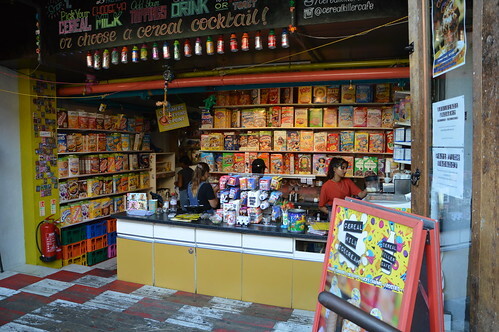 When in London about 5 years ago, we went to see this cart (my husband, my eldest daughter and I) and it was just half a cart standing next to a brick wall… but now it is completely commercialised… as are all things Harry Potter I guess!! There was a queue of people waiting to ‘push’ the cart into the wall and there was a company taking pictures of them which they could buy in the Harry Potter store next to the cart! Luckily my youngest daughter, which hadn’t seen this cart before, was satisfied with just seeing the cart instead of ‘pushing’ it so we didn’t have to waste time queueing 🙂 However we did go to the HP-shop of course and ended up buying some t-shirts! 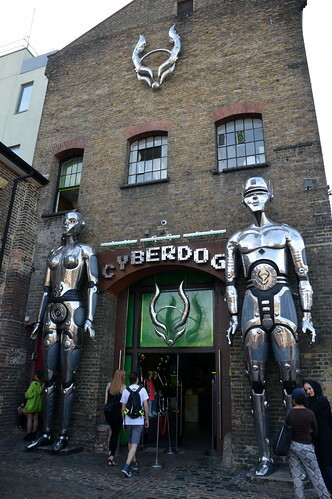 And that rounded up our daytrip to London. We were tired, but satisfied that we cramped in so many things in just one hot day! 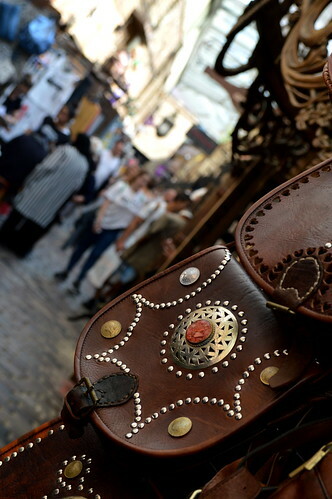 Stables Market. This stall is closed so you can clearly see the beautiful gates of the stable. 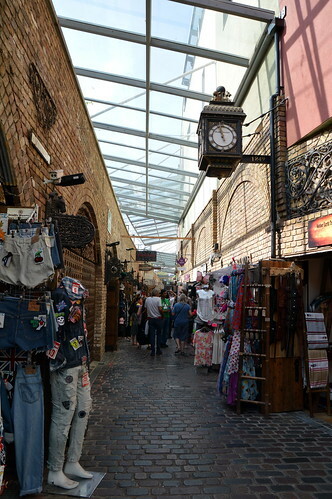 This entry was posted in England, Travel and tagged camden market, camden town, england, great britain, Harry Potter, king's cross, london, st pancras, Travel, travelblog, uk. Outfit of the week: Printed palazzo pants. 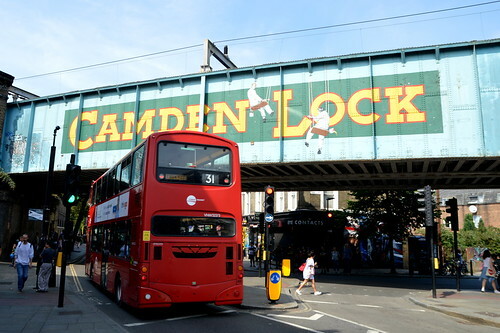 I’ve been to London loads of times but only visited Camden briefly, next time I go I’ll have to stop by and have a look around. Thanks for sharing!